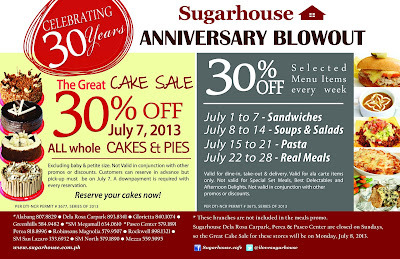 Here's another Monday Treat and this time its from Sugarhouse. The cakes here are L-O-V-E. My family loves Choco Bliss, Concorde and Dulce de Leche. We also love the caramel candy. It's not always that a cakeshop gets to celebrate 30 years and if it does, it only mean one thing-- the food in this place tastes superb. 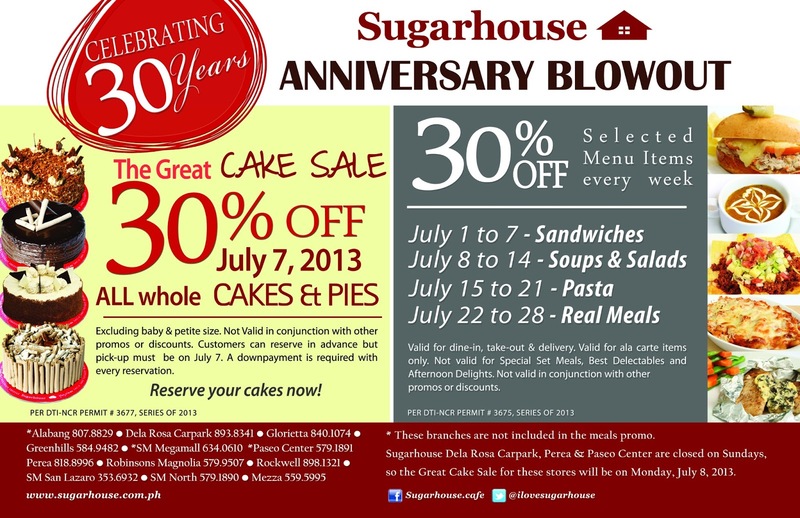 Visit Sugarhouse FB Page here.